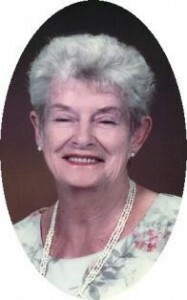 Geraldine S. “Jeri” Gore, 85, of East James Drive, Port Washington died Sunday June 20, 2010 at Columbia St. Mary’s Hospital-Ozaukee Campus in Mequon where she had been for the past few days. She was born in Milwaukee on March 17, 1925 to Joseph and Margaret Cobs Schmitt. After growing up in Bayview, she graduated from Bayview High School. On September 9, 1944 she married Donald W. Gore, also of Bayview, in San Diego, CA. For many years they lived in Milwaukee, River Hills and Mequon. In 1986 they moved to Port Washington. He preceded her in death on May 28, 2004. Jeri worked for the former Wisconsin Bell (AT&T) for almost 18 years as a Communication Service Advisor, retiring in 1981. Over the years she had been quite active in Junior Achievement and the Port Washington Woman�s Club, amongst others. She will be remembered for her kind, friendly persona, always there to brighten ones day. She is survived by her five sons, Spencer (Janice) Gore of Mequon, Gregory (Diane) Gore of Greenfield, Scott Gore of Grafton, Bryan Gore of the Town of Grafton and Stephen �Steve� Gore of Port Washington, further survived by nine grandchildren, 4 great-grandchildren, other relatives and many friends. A Memorial Mass will be celebrated at 6PM Wednesday, June 30, 2010 at St. Peter of Alcantara Catholic Church, 1800 N. Wisconsin St., Port Washington. The Reverend Patrick Wendt will be the celebrant. A visitation will take place from 4-6PM Wednesday AT CHURCH. Memorials to the American Heart Association, Columbia St. Mary’s Hospital-Ozaukee Campus in Mequon or the Juvenile Diabetes Research Foundation are appreciated. The family would like to thank the doctors and staff of Columbia St. Mary’s Hospital-Ozaukee, Mequon for the years of exceptional and compassionate care.